American Sniper didn&apos;t only break the box office record for the best January opening of all time, it demolished it. 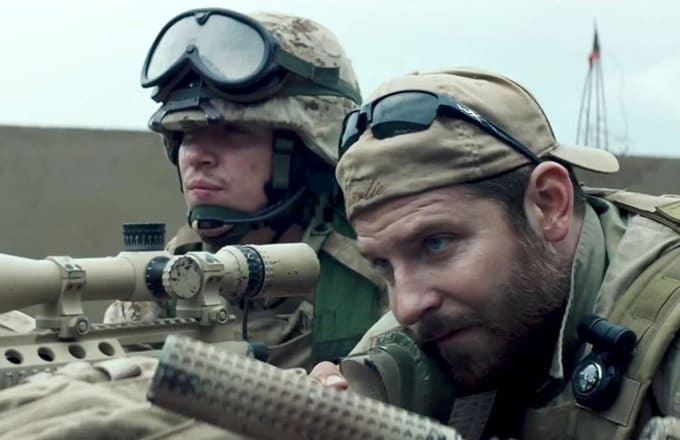 The Clint Eastwood-directed film based on real-life Navy Seal Chris Kyle earned Bradley Cooper an Oscar nomination and brought in $90 million in its first weekend of wide release, according to the studios&apos; Sunday estimates. That is nearly double the previous record-holder for a January opening, Ride Along, which brought in $41 million in January of 2014. This year&apos;s Hart comedy, The Wedding Ringer, was No. 2 over this MLK holiday weekend with $21 million, while Paddington was No. 3 ($19.3 million). A holdover from last week, Taken 3, brought in $14 million for the fourth spot. Speaking of the MLK weekend, the civil rights story Selma, starring David Oyelowo as Martin Luther King Jr., was No. 5, bringing in just over $8 million.